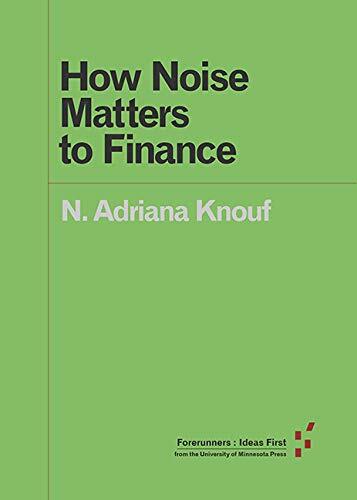 N. Adriana Knouf draws on historical and contemporary documents to show how noise -- sonic, informatic, or otherwise -- affects the ways in which financial markets function. The book draws on different forms of financial noise, paying attention to how materiality and the interference of humans and machines causes the meanings of noise to shift over space and time. This is a textbook on construction financial management written in simple English for undergraduate students who study construction related programmes. It is also suitable for postgraduate students who are less familiar with financial management.